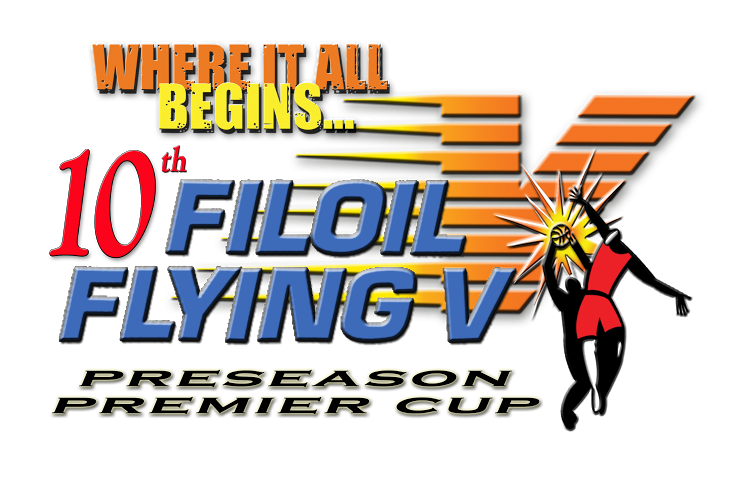 There’ll be familiar faces and there’ll be familiar faces back in the fold when the University of the Philippines Fighting Maroons take the hardcourt for the Filoil Flying v Premier Cup on Wednesday, May 4. There’ll be old reliables Jett Manuel, Diego Dario, Dave Moralde, Henry Asilum, Gelo Vito, Paul Desiderio, Andrew Harris, and sophomores Pio Longa and Jan Jaboneta who should both contribute more this season. Taking the place of African Cheick Kone is Lionel Tekoudjou who actually played in last year’s Filoil tourney alongside Kone but was not allowed to suit up by the UAAP as they went from two foreign players to one in the line-up. Also making a return to the team are forwards Paolo Romero and Darwish Bederi who have alternated with the UAAP roster and Team B. Romero also suffered a knee injury between stints. Speaking of injury, Kyles Lao, who was out because of after blowing out his knee last summer, is back as well. Some new but familiar faces include Francis Abarcar who played for San Beda two years ago but since moved to UP. Also in the line-up is former NU Bullpup shooting guard Enzo Battad. Perhaps the most familiar of new faces is their new head coach, Bo Perasol, who was last seen in parts of Katipunan Avenue in Loyola Heights, Quezon City, coaching the Ateneo Blue Eagles. Perasol, who donned UP’s jersey from 1989-93, was coach of Ateneo from Season 76-78, having the unenviable task of following five-peat winner, Norman Black. Perasol led the Blue Eagles to two Final Four finishes. Although not listed for the Premier Cup, forward-center Jerson Prado, who suffered a knee injury last UAAP season, is expected to be back in time for Season 79. Just like they were in previous seasons, the line-up is too guard-laden so no doubt you’ll be hearing a lot of those security agency jokes again. They have four court generals in Jarrell Lim, Dario, Abarcar, and Asilum with the latter two more of the traditional passing guards than the former. Playing stretch three are Longa, Moralde, Desiderio, and Kyle Ong. Even Jaboneta will see time at the three and four spots. That means many players will be pulling double duty and could be playing different positions that they were not accustomed to in high school. But many of them have at least a year of college ball under their belts so they know what to expect. While basketball has changed where players’ positions are interchangeable not only because of height but also due to skill level, that still underscores their need for a force inside. There’s some relief in sight with the huge addition of talented 6’5” forward Javier Gomez De Liano who came up from their Juniors ranks. He will give UP some length, flexibility, and scoring punch from the forward position. If Tekoudjou, Vito, Romero, and De Liano can grab some rebounds and score regularly in the paint, that would help this UP team. During the last UAAP season (3-11, seventh), the ray of light for the Fighting Maroons was they improved their defense where they placed fifth. They lost by an average of 9.8 points last season but that was only bolstered by the twin double digit losses to eventual champion FEU, the only team to accomplish that. They lost a couple of close matches most notably against La Salle and UST. Conversely, for a team loaded with scorers, they were dead last in scoring. That underscores the need for people to have roles and to understand their place rather than mindlessly bombard from the outside. UP had more field goal attempts than any other team outside UE (the only team to attempt over a thousand shots) yet they also had the worst field goal percentage at 34%. When UP started out the summer and the UAAP, they looked fresh and exciting, bolstered by pre-season tournament wins and talented returnees and newcomers. When teams figured out on how to stop them especially their post play with the kick outs, the playbook went out of the window and they went more for individual brilliance. However, that turned sour after the early euphoria of two straight wins in the UAAP. Other aspects that they need to work on this summer is their rebounding, assists, and points in the paint. Especially the latter. They need to establish their post presence on both ends of the court. With Perasol minding the bench, they have an experienced mentor with a chip on his shoulder and something to prove.